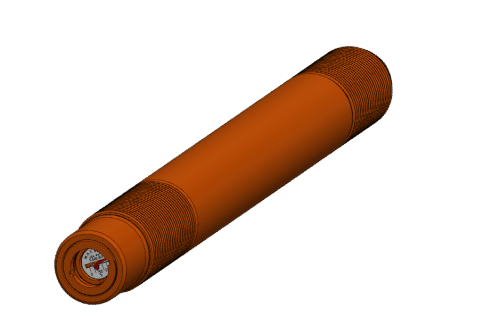 We have the capability to roll threads from 1/2″ – 6 1/2″ diameter, or 13mm to 165mm. 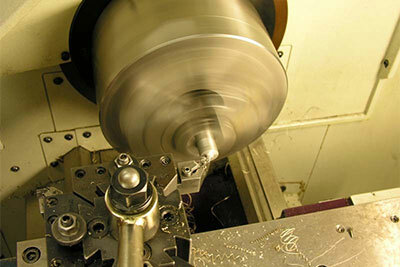 In addition, we have the expertise to cut thread from 3/8″ to 4 1/2″ diameter, or 10mm to 114mm. Threading is the method of creating a screw thread. 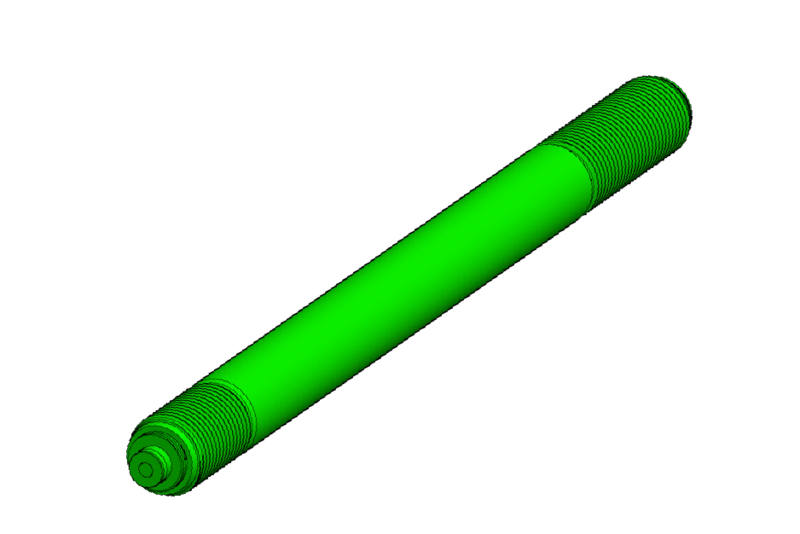 Some claim, that the screw thread was invented near 400BC by Archytas of Tarentum. Archytas has been referred to as the founder of mechanics and was a contemporary of Plato. One of the first uses of the screw principle, and thus threading, was in presses for the extraction of oils and juices from olives and grapes. 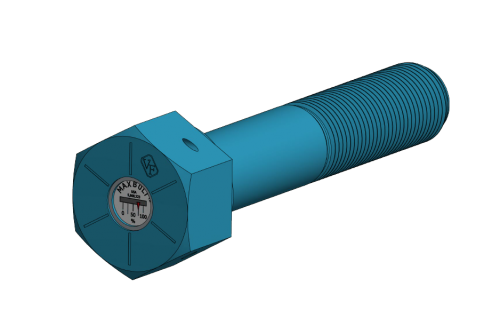 This principle has evolved into a machine element, that in more recent studies, claim there are more screw threads produced each year than any other machine component. Fasteners are primarily threaded using two different methods, thread rolling (or thread forming) and cut threading (or single pointing). 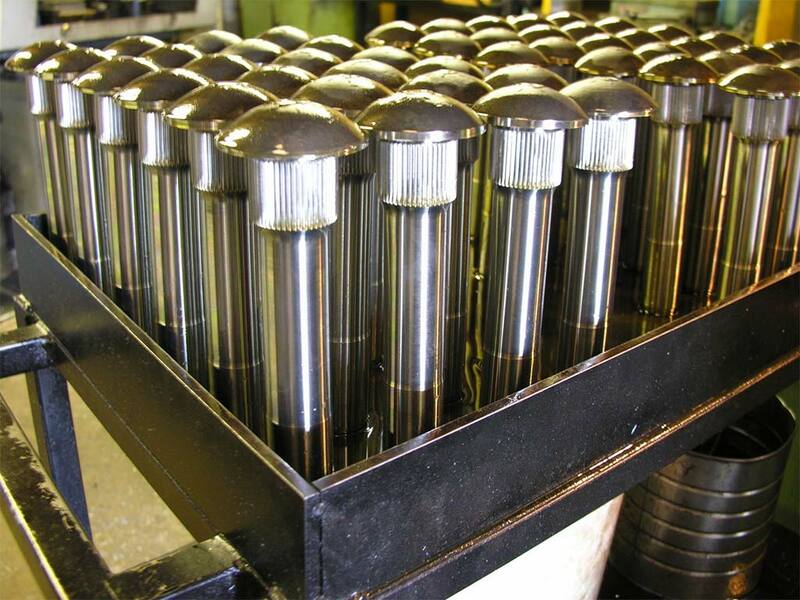 Rolled threads, however, are stronger than cut threads, with increases of 10 to 20% in tensile strength and possibly more in fatigue resistance and wear endurance. Here at Valley Forge we take satisfaction in being skilled at both of these methods. 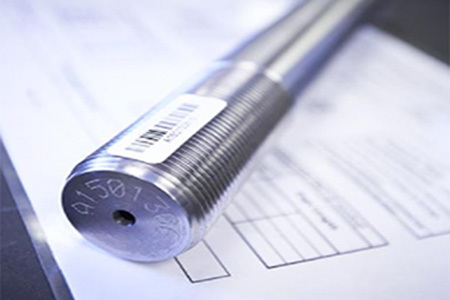 Inspection of the finished screw threads can be achieved in various ways, with the expense of the process tailored to the requirements of the product application. There are three primary methods, as defined by FED-STD-H28; System 21, System 22 and System 23. Primarily, System 21 is a go – no/go attribute measurement. 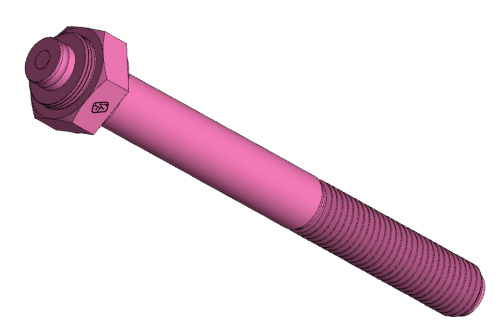 System 22 provides for the interchangeable assembly with functional size verified at the maximum material limit, using standard length gaging elements, as well as the minimum material limit over the full length of the thread. System 23 entails the same gaging requirements as System 22 but goes one step further and takes into account other thread characteristics, such as lead, flank angles, taper, and roundness, which must be independently verified. We at Valley Forge & Bolt are capable of inspection in all three of these methods. Threading While screw threads may be very common, the equipment used to create such a thread, do not lack intricacy. 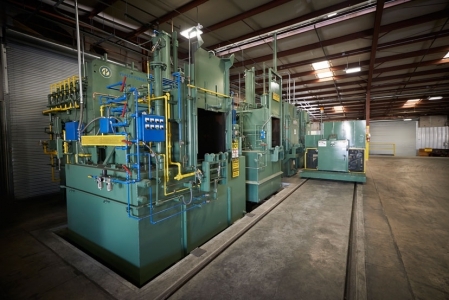 There are many methods of generating threads, including deformative (rolling and forming), subtractive (cutting and grinding) or transformative methods (molding and casting). Here at Valley Forge we both roll and cut thread. Thread rolling or thread forming, are deformative methods, whereby we create either external threads or internal threads. 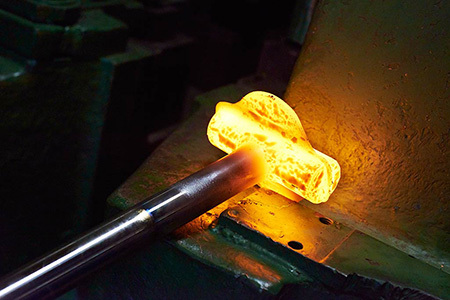 In both of these processes threads are formed into a blank by pressing a shaped tool, commonly called a ‘thread rolling die,’ against the blank. 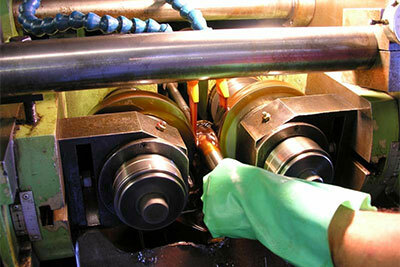 There are four main types of thread rolling, named after the configuration of the dies; flat dies, two-die cylindrical, three-die cylindrical, and planetary dies. 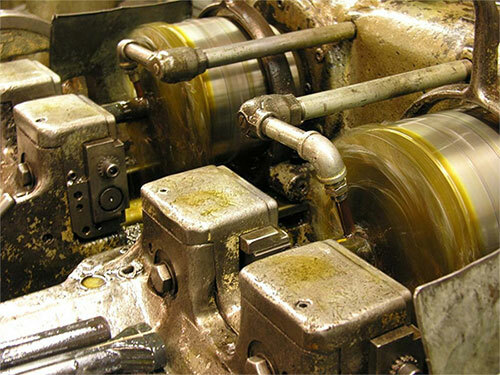 Thread cutting is a subtractive method and can be utilized for a variety of reasons. These include small quantity requests, required full thread depth, if the blank is less accurate, required threading up to a shoulder, threading a tapered thread, or when the material is brittle. 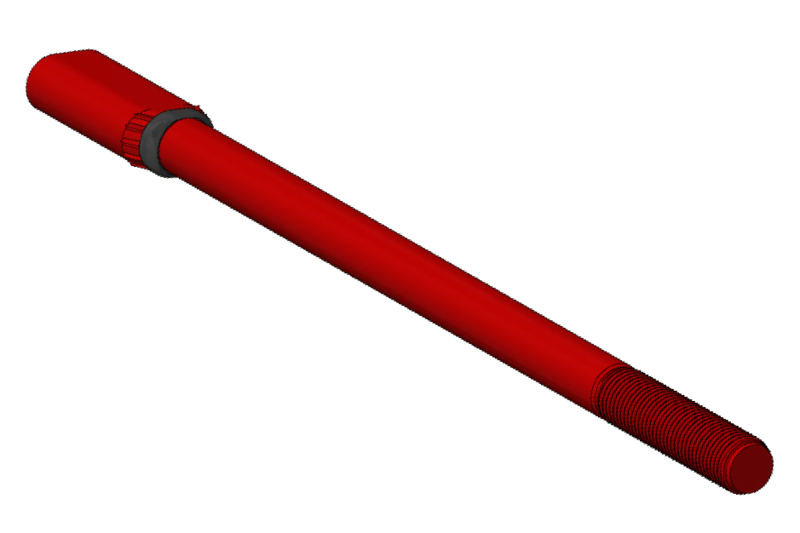 Single pointing is the method where a single point tool is used to produce either external or internal threads on a cylinder or cone. Here at Valley Forge, we have multiple two-die cylindrical thread rollers and cut threaders used to meet our customer’s threading needs.